STEM Challenge! 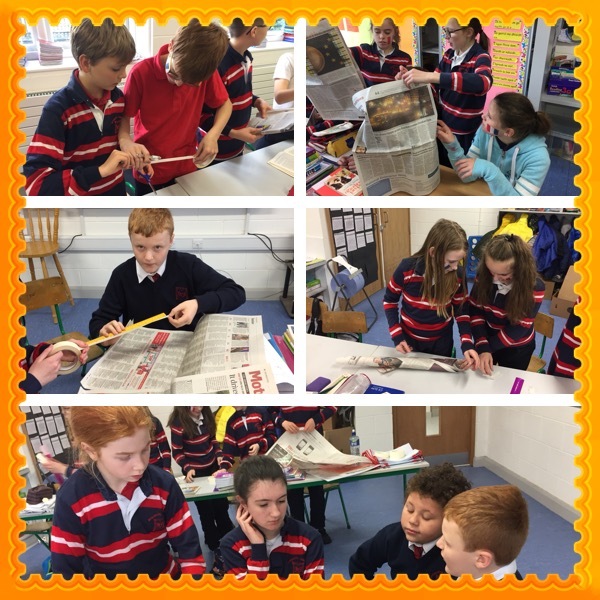 Tar éis maidin gnóthach i bPáirc na nGael táimíd ar ais ar scoil ag iarraidh an struchtúir is airde a dhéanamh le 30cm téip agus dhà bhilleog nuachtáin. Caithfidh an struchtúir seasamh go neamhsplách gan aon tacaíocht. STEM Challenge! 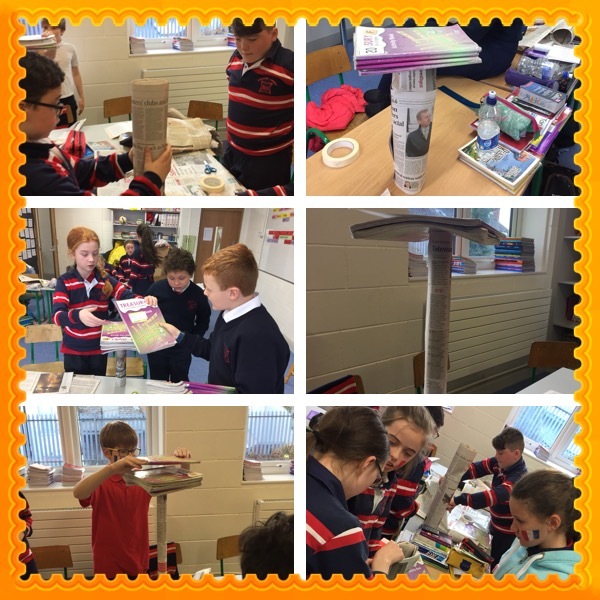 Create the tallest structure possible using only 2 sheets of newspaper and 30cm of masking tape.